Miitti: Teddy Bear Picnic miitissä viemme nallet ulkoilemaan. Tapahtuma alkaa klo 16:00 ja päättyy klo 17:00. Noin klo 16:45 otamme yhteiskuvan jossa nallet istuu kivillä nallepatsaiden vieressä. Tapahtumassa palkitaan isoin ja pienin nalle PathTageilla. Meeting: At the Teddy Bear Picnic event we will take the teddy bears out for a walk. At around 16:45 we'll take a group photo of the teddy bears sitting on rocks beside the teddy bears statue. 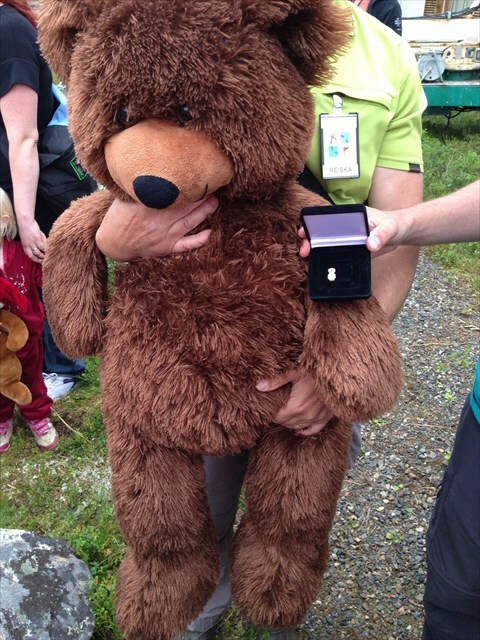 he largest and smallest teddy bears will be awarded PathTag prizes. The event organiser will bring the event logbook where it is hoped participants will add their names.